Stocking-stuffer seekers, rejoice! 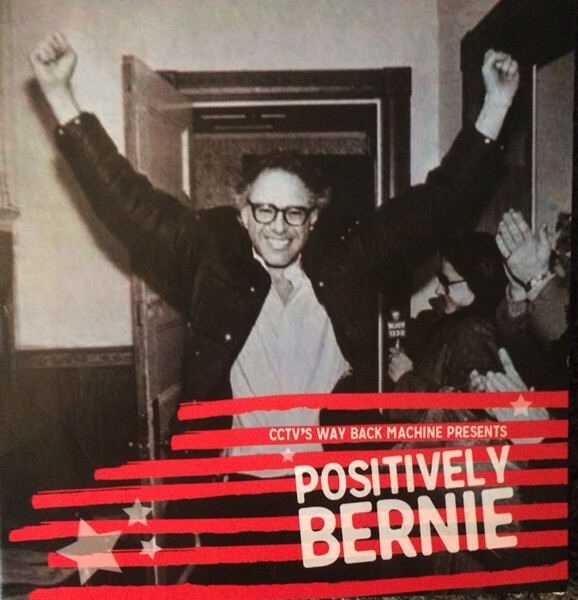 Just in time for the holiday shopping season, Burlington's CCTV Channel 17 has released a DVD compilation of archival Bernie Sanders footage. The cable access station says it combed through more than 1,000 hours of Bernie tape to compile an hour-long look at his rise from long-shot mayoral candidate to presidential contender. You can buy the DVD online for $25. 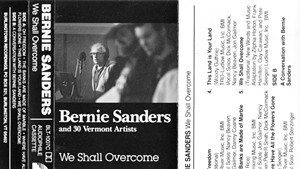 Footage includes the kickoff rally for Sanders' 1985 mayoral campaign, Sanders at the airport returning from a controversial trip to Nicaragua, the opening of the Burlington Community Health Center, and an appearance at a St. Albans railway workers strike. As a bonus, there's random footage of Bernie playing softball, hockey, tennis and basketball. Just because, apparently. But mostly, there is a lot of Bernie standing at a podium, saying Bernie things. "There is only one city in America where people have taken on the Democratic Party, the Republican Party, big business, the local newspaper and the whole damn establishment, and we beat 'em!," Sanders said at his 1985 mayoral campaign kickoff. "You're moving into the trend of the USA Today: Simple and stupid and color pictures," he said of the local media at a Vanguard Press anniversary bash in 1988. During a 1988 forum, Sanders discussed the (ultimately fleeting) success of insurgent presidential candidate Jesse Jackson. In his remarks, Sanders seemed to foreshadow his own presidential campaign: "He started out with nothing, with no money ... and I think people are impressed with his courage, his dynamism and his willingness to articulate issues that are relevant to the disenfranchised, the poor people." The DVD would be fun for Burlington history buffs, and the hardest of hard-core Sanderistas. Or perhaps it would make a gag gift for your favorite family Republican.